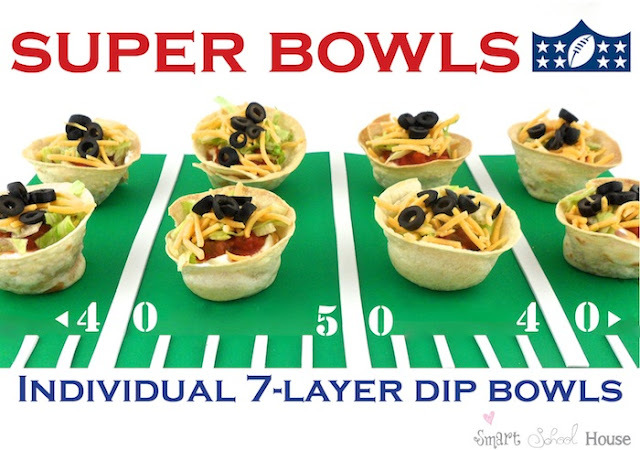 These fun Super Bowl snacks are about as clever as they come. Kelly created these fun 7 layer dip bowls out of tortillas, so the bowls are edible too! Fun for your Super Bowl party or any party for that matter! You can check out how to make individual 7 layer dip bowls over at Smart School House. You are so awesome and you've made me so happy (ok, more like giddy! ).